Dr. Jerry Richman loves practicing dentistry! 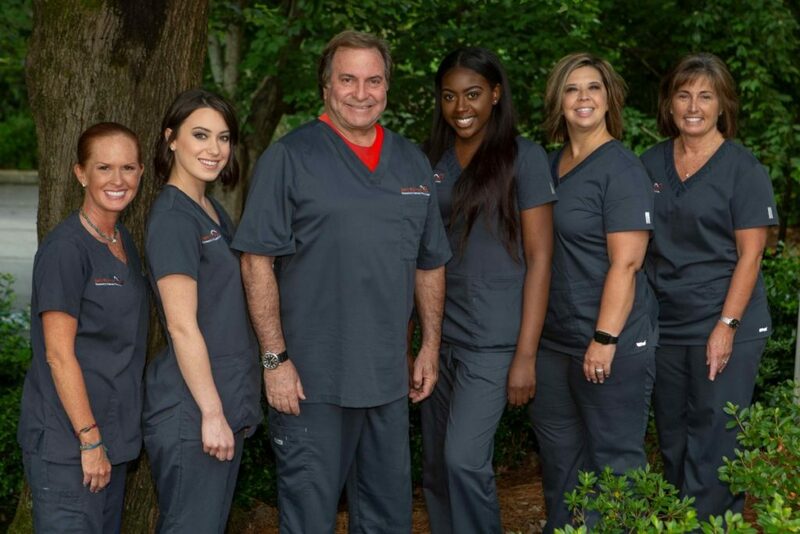 He is celebrating over thirty-five years of giving Atlanta a better smile.His practice is a general dental practice with an emphasis in Cosmetic Dentistry. That means he can provide most aspects of dentistry in one location – with a natural cosmetic result. 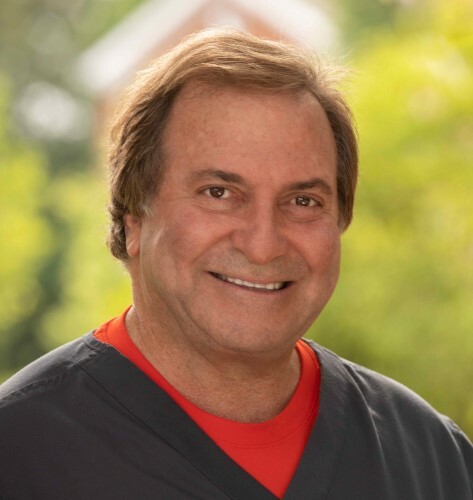 Through his experience of teaching at Emory Dental School, and extensive continuing education, Dr. Richman provides the latest in dental restorations. He is one of the first dentists in Atlanta to provide Zirconium Procera all-ceramic crowns and bridges, which restore both front and back teeth. Dr. Richman offers the ZOOM! one hour whitening process. Imagine having an immediate brighter, whiter smile without wearing whitening trays. The results are awesome! In addition, he is an expert in cosmetic enamel and gum contouring. Our patients enjoy a brighter smile after regular cleanings and dental whitening. Our goal is to provide the highest quality dental care in a comfortable, friendly environment. Our modern facility enjoys ceiling-to-floor windows overlooking the soothing forest of Vinings. 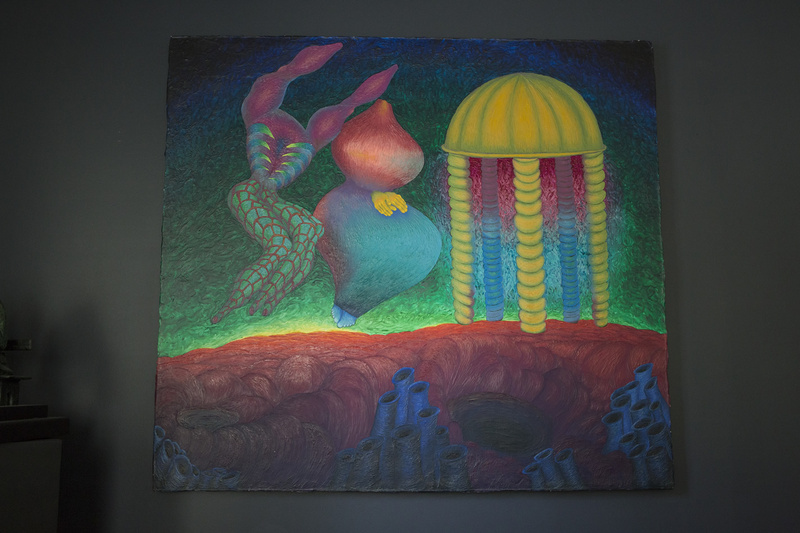 A high fidelity sound system and original art create a pleasant atmosphere. Our friendly staff is knowledgeable in all aspects of Cosmetic Dentistry. Dr. Richman also believes in keeping up with new technology that will benefit his patients. His office is digital, utilizing Kodak digital xrays. This new technology reduces radioactive exposure by 90%. He also utilizes an intra-oral camera to diagnose and communicate with patients. The Kavo diagnodent employs sonar-like technology to help detect decay. He can also print photos of before-and-after results to share with you. Our Halogen-ARC Curing Light is the fastest, most efficient composite(tooth colored filling) dental light in dentistry. It will make our tooth-colored restorations stronger and quicker to complete. Our front desk staff will conveniently schedule appointments. With the help of our Carestream Software System, we can help you plan the financial aspect of your treatment. In fact, we were the first in Atlanta to make paperless insurance claims! Now with digital xrays, we can transmit your xrays to insurance carriers or specialists. 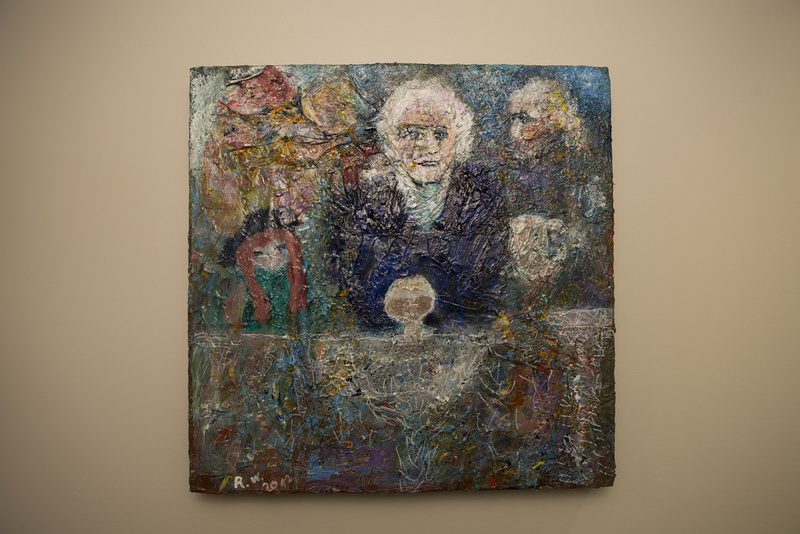 Dr. Richman enjoys a long-term relationship with his patients. He considers his patients part of his extended family. It is not uncommon to regularly see patients for 10, 20, or even 30 years. “It is the privileged of traveling through life, and life cycles, that makes dentistry so rewarding,” shares Dr. Richman. With the rapid growth of Atlanta, as an international city, our practice sees people from every continent, every week(except Antartica). Both his staff and patients are important to the success of his practice. Dr. Richman has been happily practicing dentistry for 35 years! He truly enjoys the personal relationship he has developed with his patients, through their journeys through life. His marriage of General Dentistry with Cosmetic Dentistry allows him to provide all restorations with a natural, beautiful result. His experience and wisdom allows honest judgement in treatment planning and delivery of appropriate dental care. Throughout his career, Dr. Richman has grown his practice utilizing the most advanced developments in technology. Presently, the practice offers ‘One Visit’ CEREC porcelain crown system. In addition, he employs digital radiography which is safer and faster for treatment xrays. For endodontic(root canal) treatment, Dr. Richman utilizes the titanium rotary technique which is comfortable, quick, and efficient. Cindy Harmon RDH has been practicing with Dr. Richman for 35 years. She is his original dental hygienist and they are almost like siblings. Cindy loves her patients and provides up-to-date dental hygiene and education. She graduated from Clayton State University where she was awarded the coveted “Golden Scaler Award” for Academics. 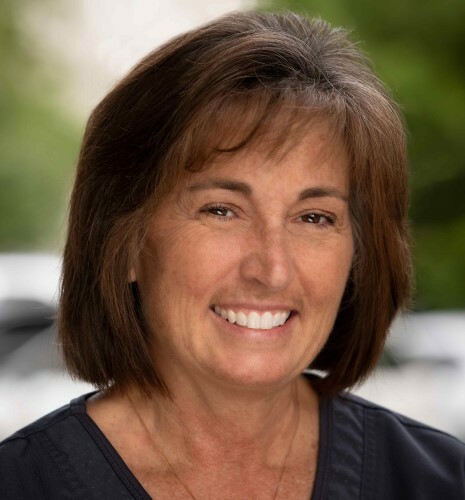 Her patients truly love her sincere unwavering care and friendship, Mrs. Harmon provides regular cleaning, deep cleaning, soft tissue maintenance (for gum disease), cosmetic whitening, and oral hygiene education for the entire family. She recommends many of our helpful dental care products to help you at home with dental home care. Cindy lives with her husband in Smyrna where her family has lived for over 100 years. She enjoys boating, beach walks, biking, baking, bargaining, and especially smiling! We are delighted to have Michelle Gerlach working in our practice. Michelle was born in Smyrna,and attended Georgia Tech. She has been a figure skater for 16 years, as well as a make up artist. Michelle is our administrative assistant, IT, and training to be a dental assistant. Her current interests are reading about science and physics, assembling large puzzles, and playing tennis. She also makes a mean Manhattan !! Michelle is married to Michael who is from Bologna, Italy. They reside in Midtown, with their two cats, Spritz and Marz. Jasmine Henderson comes to us from Camden, on the southern coast of Georgia. Since she was a child, good oral health was a priority, in her family. 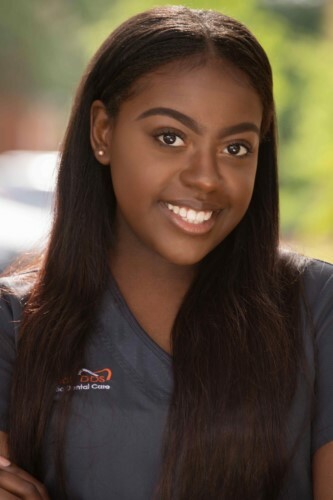 Jasmine enjoyed her dental assisting internship in Dr. Richman’s practice, and was subsequently hired. Jasmine enjoys cooking and hanging out with friends, enjoying Atlanta’s great restaurant scene. Family values, and a small, friendly office environment, attracted Jasmine to our practice. She is proficient in 3-D Cad-Cam Cerec, one visit crown procedures, as well as all dental procedures. 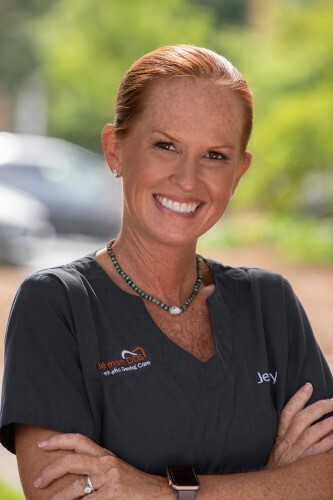 Jenny Joswick provides our practice with periodontal expertise on a part time basis. She has twelve years of experience, and works full time for a respected periodontal practice. 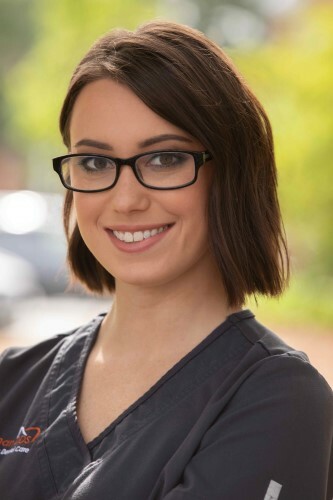 Jenny’s bubbly personality and professional approach is an asset to our practice. She enjoys boating, exercising, camping, and playing with her dog Bailee. Married to Bryan for eight years, they enjoy their life together in Carrollton.